You'll do a double take when you find out how versatile this double-zipped DOUBLE TAKE PURSE is! Two separately lined compartments keep your stationery, money or travel documents in their place. 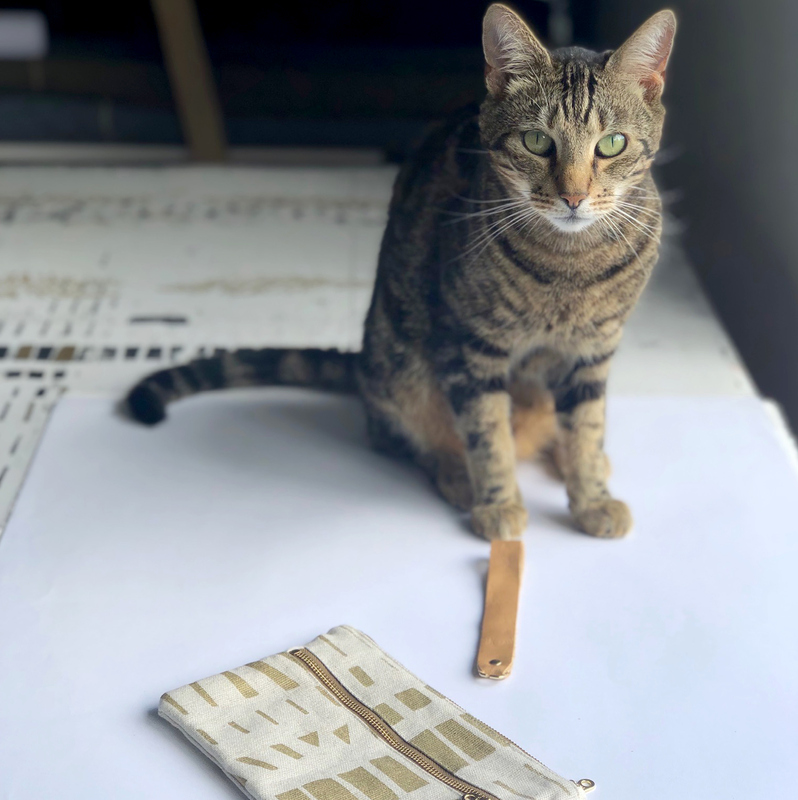 This DOUBLE TAKE PURSE is hand screen-printed with original designs onto locally sourced 100% cotton and linen/cotton using water-based inks. Notify me when BLOCKOUT gold on black double take purse is available.